Legend has it that guitar-wielding, Hamilton, ON troubadour B.A. 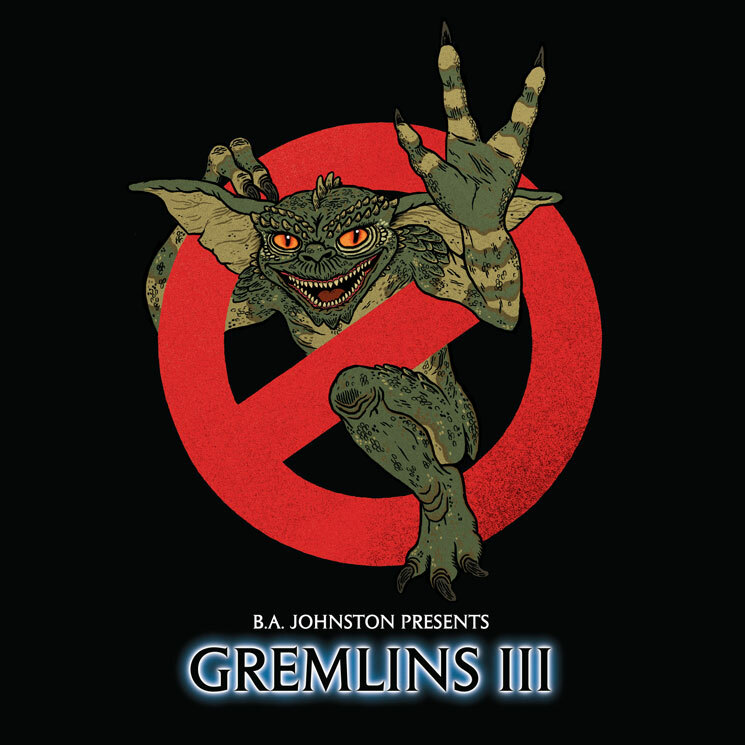 Johnston named his 11th studio album Gremlins 3 and adorned with a very familiar cover in the hopes of getting "sued by someone famous." Even if the record doesn't get him sued, though, it'll certainly get under the skin of some people — and in all the right ways. Like much of Johnston's catalogue, Gremlins 3 is too punk to be folk, too folk to be punk, and DIY as hell. All at once, it manages to be dumb and clever, juvenile and mature. It's the work of an abstract genius slacker, and certainly isn't for everyone. If you don't like beer — cheap beer, specifically — some of Johnson's inspiration may be lost upon you. Johnston loves cheap beer in the back seat ("Dave Says No Drinking in the Back Seat"), in alleys ("Alley Beers") and in canoes, tempting Death ("Too Messed Up to Be in This Canoe"). It's not just beer that gets Johnston's affection, though: he uses the promise of lasagne to display his love for a partner ("I Will Make Lasagna For You"), even if it's just frozen lasagna, because "frozen lasagne is still lasagne." He loves '80s fantasy classic Willow more than all the modern fantasy duds like Lord of the Rings ("Wanna Watch Willow"). Johnston's penchant for the absurd and sardonic applies not just to observational ditties, but to his storytelling. Case in point: the utterly sublime album highlight "So High in Foodland." The song is a tale of a lazy boy who spends his time at work getting high on the nitrous Cool-Whip containers and dancing around to Steely Dan. It's a wholly insane premise for a song that manages to end on wildly astute commentary about the difficulties of living on a minimum wage: "Next time you're in Foodland and you see a bag boy / He's lazy and got red, red eyes / Don't be angry, hey man, don't you dare be surprised / When you pay someone the least you can / Expect them to dance to Steely Dan / Expect your customers to return all their whipped cream cans."